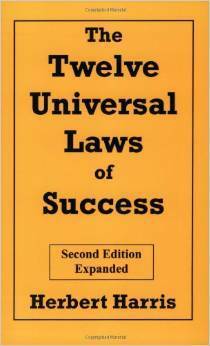 A well organized treatment of the basic principles of personal success. The broad spectrum of self-help approaches are organized into twelve universal laws that are each based on biblical principles. This book refines and reduces religious, philosophical self-help concepts into easy to understand action principles. It provides step-by-step processes for overcoming procrastination, obstacles, fear and worry and formulas for setting goals, making plans and getting desired results. Topics include: signals of a poor self-image; ways to improve your self image; overcoming obstacles, fear, and worry; developing self-discipline; making a success plan that works; a daily formula for achieving your goals; principles of wealth building; improving relationships with other people; overcoming procrastination; how to be persistent and get results.